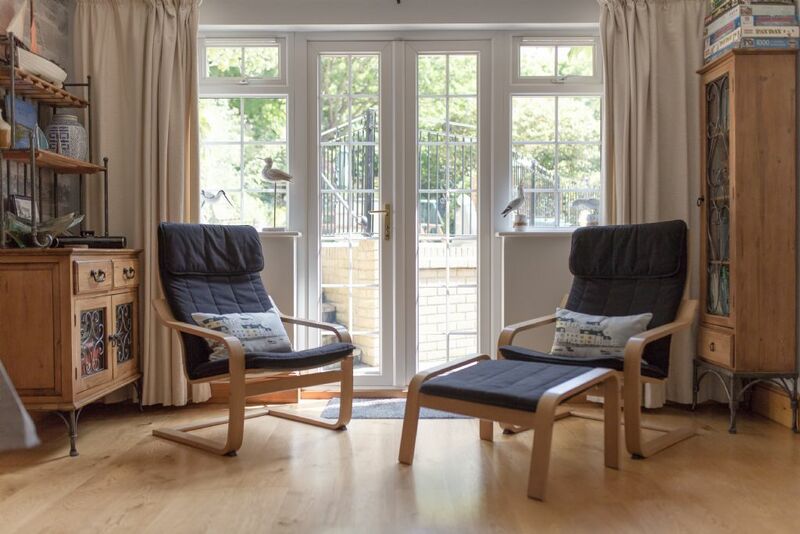 This ivy-covered cottage is a lovely family home from home that has been recently renovated to top notch standards of contemporary style and comfort, whilst still retaining the original character. Plus it gets a big BFB seal of approval thanks to the long list of helpful nursery gear and playthings to keep mini guests happy, both indoors and out, all but guaranteeing a relaxing break for grown-ups! Evergreen Cottage’s pretty and secluded cottage garden really sets it apart. 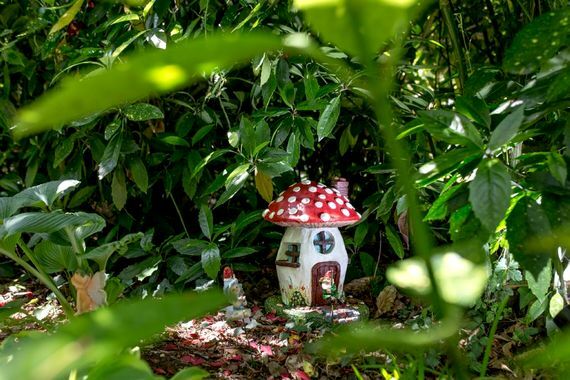 It has been planted to attract the local wildlife so mini guests can enjoy playing spot the birds, badgers and even rare red squirrels. There is also a pond (safety covered) with dragonflies and newts to spot too. Its real ‘Swallows and Amazons’ type stuff for kids! 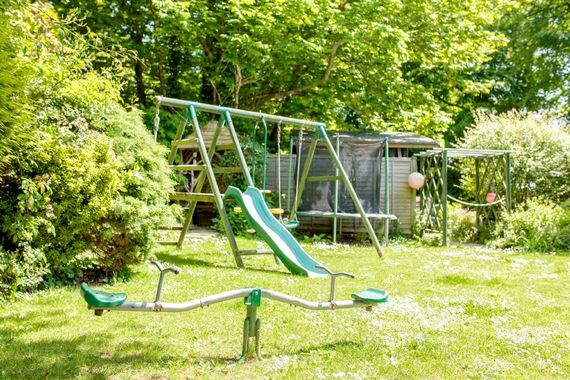 It doesn’t end there either, a fantastically well-equipped play area in the garden will provide hours of fun for little ones whilst parents enjoy lazy days in the garden, taking a break from the trials of packing kids and endless gear in the car for days out. 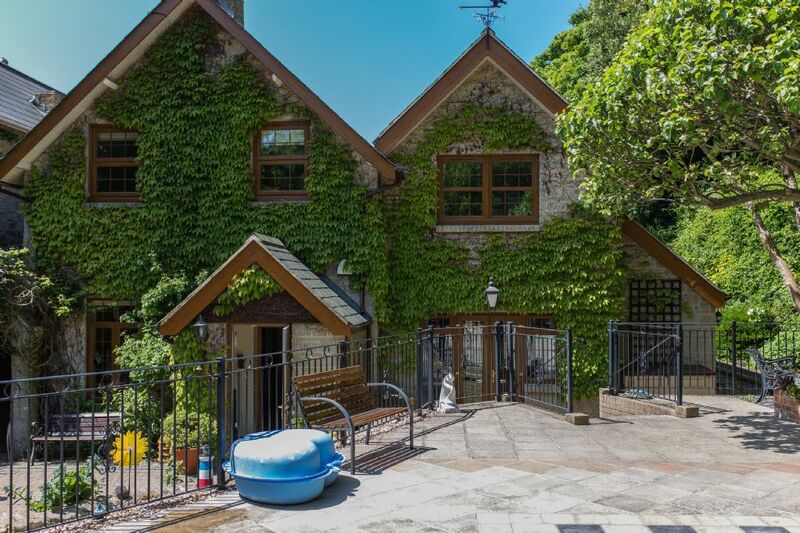 Kids will be easily occupied for hours on end, with an 8ft trampoline, sand pit, paddling pool, play tunnel, swings, slide, swing-ball, crazy golf and badminton. 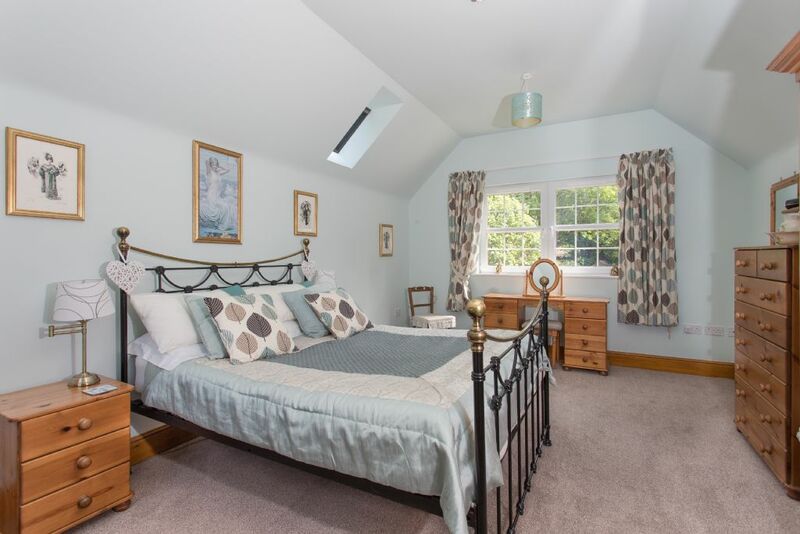 It is all safely enclosed too as the cottage has a large parking area and electric gates so children can’t stray from the house. But when it’s time to go exploring, two Hauck Strollers and a Graco Stadium Dual Tandem buggy will certainly come in handy! 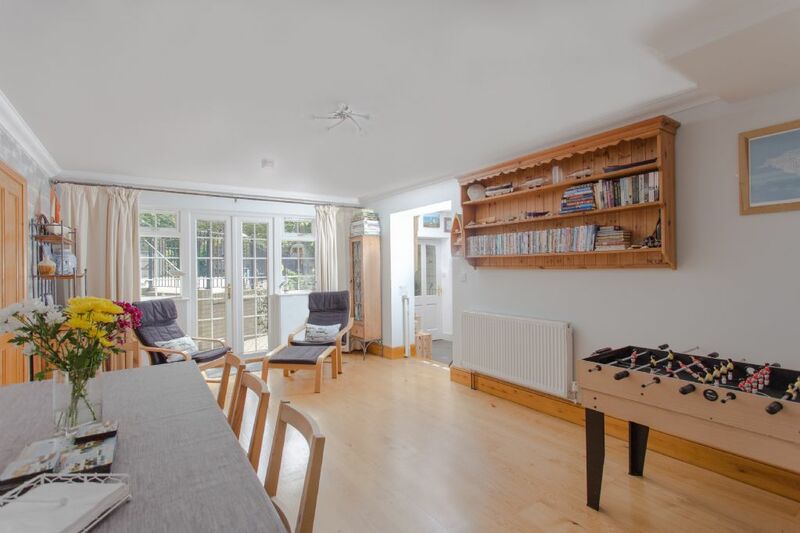 Inside, the spacious living room is a wonderfully fresh and airy space thanks to a high, rafted ceiling and light flooding in through big windows and French doors onto a paved patio with dining table and BBQ. The living room also features an impressive stone fireplace and a pair of big squashy sofas for watching the 42” Freesat flatscreen TV and DVD’s, listening to music through the iPod dock or playing games on the XBox360 Slim with Kinnect. The living room runs through to a dining room for eight, with two high chairs provided, and a separate, designer farmhouse kitchen is a chef’s dream. A big island unit in the middle is fitted with a hob and sink, plus there’s both a classic aga cooker and built in, eye-level double oven, American size fridge freezer, all mod cons and extras including panini maker, Krupps coffee maker, slow cooker and steam steriliser. Upstairs, Camellia Cottage has three cosy but spacious bedrooms with wrought iron beds, plus the main family bathroom and there is also a shower room and WC back on the ground floor. 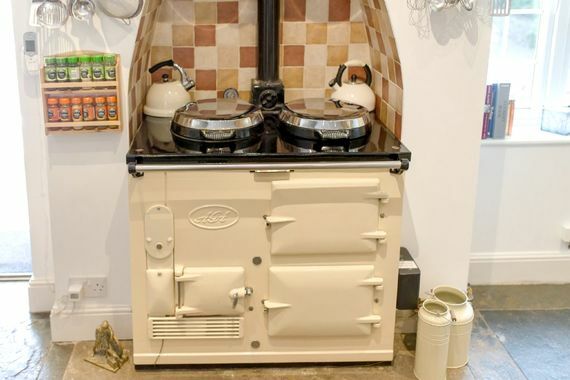 EvergreenCottage sleeps up 8 people plus two babies, with two travel cots provided. 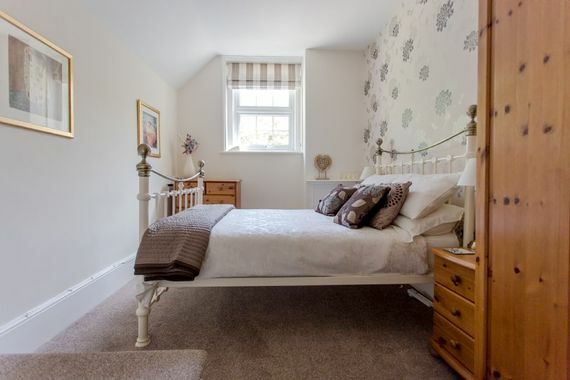 The house comprises a master bedroom with a king size bed and space for two cots, one double bedroom with space for a cot and one twin room, plus one of the sofas in the living room converts into a king size bed with a memory foam mattress. The house has a downstairs shower room with a WC and a family bathroom on the first floor. Evergreen Cottage is located within an Area of Outstanding Natural Beauty less than 4 miles from the Isle of Wight’s most southerly point of its coastline, watched over by the 19th century St Catherine’s lighthouse. The ferry ports from the mainland are 30-40 minutes drive from the cottage. 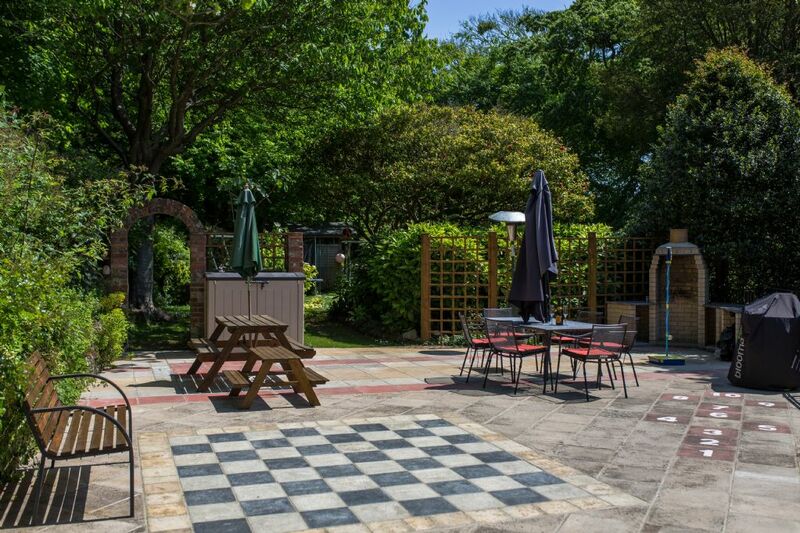 The local village of Niton is half a mile away, with a handful of local shops, including a convenience store, post office and tea room, plus families are very welcome at the 16th century Buddle Inn, just a few minutes stroll from the cottage. 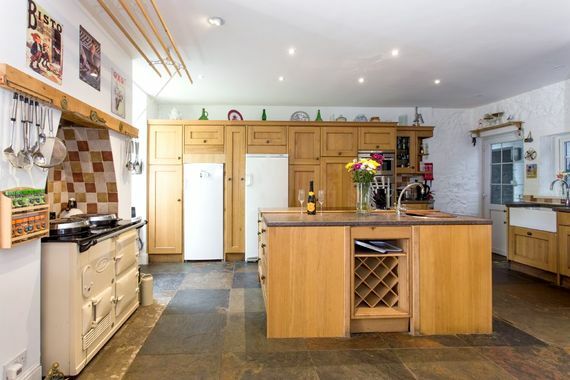 Waitrose, Sainsbury’s and Tesco supermarkets will all deliver to the cottage. The Victorian seaside resort of Ventnor is 10 minutes drive, where families can take a stroller stroll along the prom and spend a day on the award-winning sand and shingle beach, backed with beach huts that are available for hire. Parents will be pestered to part with pennies in the amusement arcade and might find interesting bargains in the bric-a-brac shops or there’s the spectacular cascade gardens, Botanic Gardens and Steephill Cove to explore. Ventnor also boasts the best fresh caught lobster and crab on the island, with plenty of inns and restaurants to indulge and the town also has its own brewery, making real ales from local spring water. If the children are into dinosaurs, the Isle of Wight is the place to come, staking its claim as Dinosaur Island and with a new app available to follow a trail of meteors which trigger different dinosaur encounters. Families can also go on fossil hunting and footprints tours from the Dinosaur Museum. There are loads of other fun things for families to see and do, including the fantasy worlds and theme park rides of Blackgang Chine as well as Robin Hill Adventure Park, Isle of Wight Zoo, Amazon World Zoo Park and the Isle of White Steam Railway to name but a few. The Isle of Wight is steeped in history and culture, from Brading Roman Villas to Queen Victoria’s Osborne House, Carisbrooke Castle and Tennyson’s Farringford. The island is also world famous for its major music festival in June (with Bestival in September growing bigger by the year) and the Cowes sailing festival takes centre stage in August. GP’s at Niton Medical Practice, Ventnor Medical Centre and Beacon Health Centre. 24-hour A&E at St Mary's Hospital, Newport. Louise was born on the Island, spending much of her childhood on the beautiful local beaches. John moved here around 25 years ago and is a professional decorator. 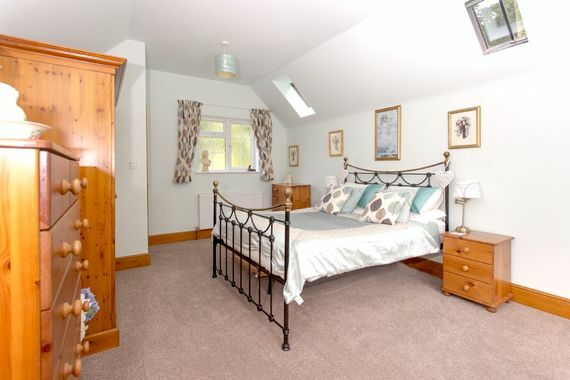 Together they have built Camellia Cottage in to a truly family friendly holiday destination. Attention to detail is their trademark, with accommodation which is equipped with just about everything you could wish for. We know how important it is for parents to be able to relax in well appointed surroundings, while children are happy and entertained. 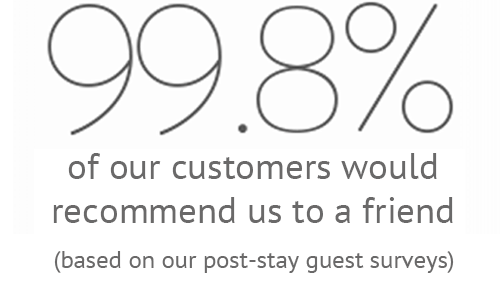 We genuinely enjoy ensuring guests have a great holiday experience! 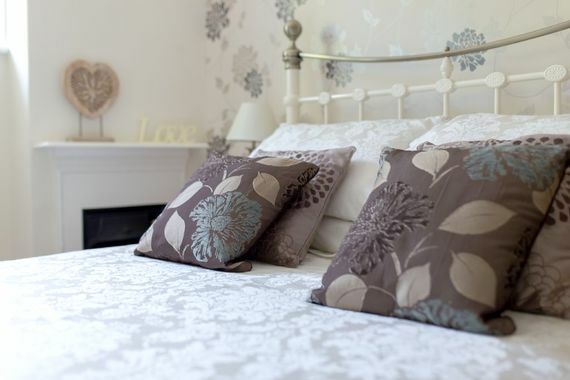 Stylish and welcoming accommodation in a secluded setting. A true bolthole, away from it all! Close enough to amenities, yet nestled quietly in an area of Outstanding Natural Beauty. 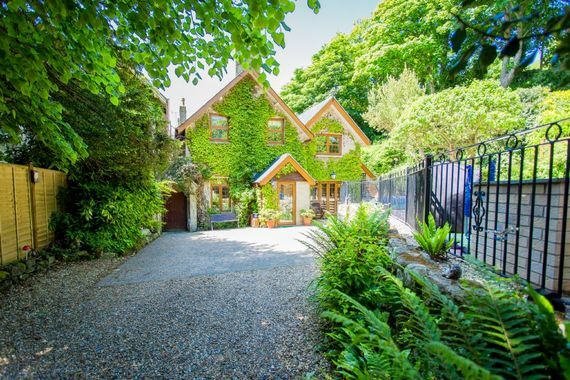 The location is unrivalled, the cottage sits in an acre of beautifully planted garden. Camellia Cottage is perfect for kids. In the garden are an 8ft trampoline, swing, slide, and play equipment. There is plenty of room to run around, use the space-hoppers, play hide-n-seek, or indulge an imaginative adventure. 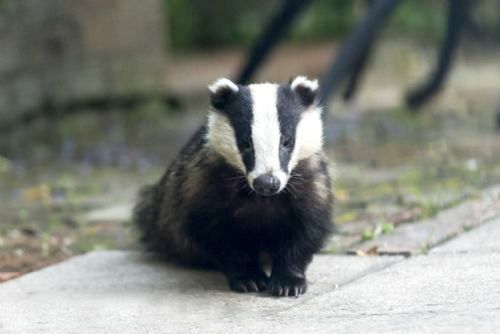 Badgers feed directly outside the French doors. Leave bread and jam on the steps, and nightly they come within inches. As many as five at a time! 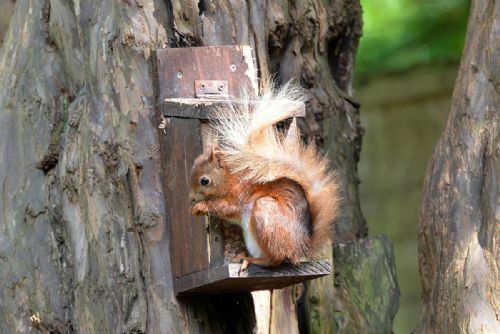 Red squirrels scamper around and raid the nut boxes regularly throughout the day. Wild birds are attracted to the bird feeders and there are dragonflies in season. 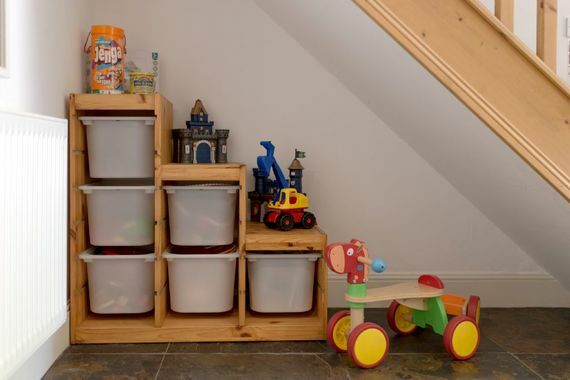 Inside kids will love rummaging in the toy boxes. 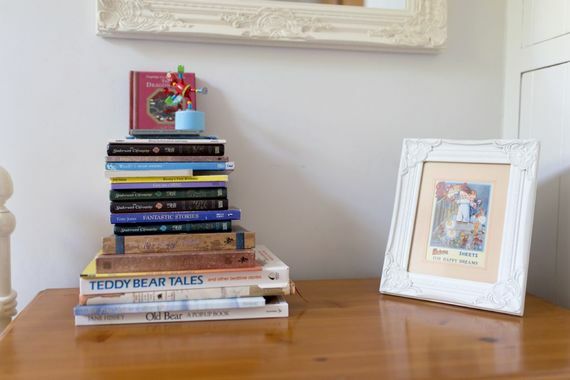 With everything from wooden train sets and Lego, to dolls’ houses and dressing up. There are games and DVDs for a rainy day. Ventnor beach and Steephill Cove are a short drive away. Take the sun tent and beach mats with you, and don’t forget the buckets and spades stored outside. Portsmouth airport is within 2 hours drive of the cottage. 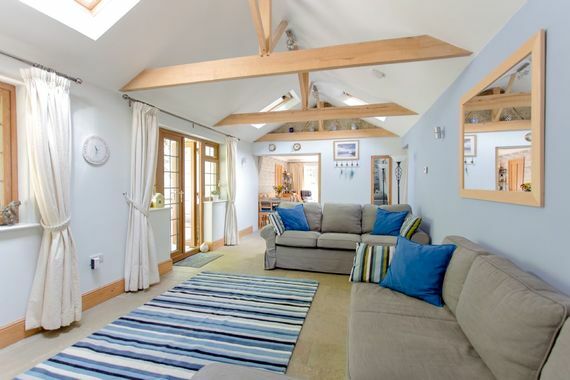 Southampton airport is just over 2 hrs drive from the cottage. 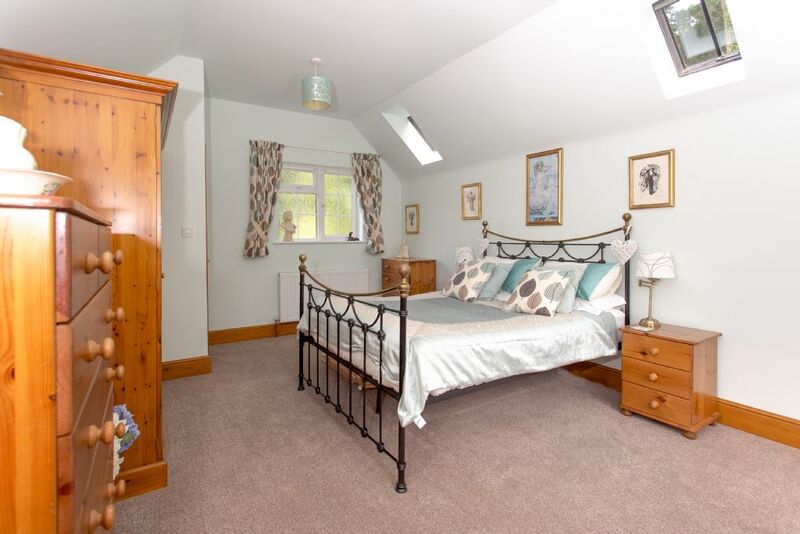 Niton is half a mile away, with a handful of local shops, including a convenience store, post office and tea room, plus families are very welcome at the 16th century Buddle Inn, just a few minutes stroll from the cottage. A useful list of nursery gear is provided including two travel cots; two high-chairs; stair gates; baby bath, potties, child toilet seat, bathroom step-ups; Ikea rocker; nightlights; BT200 Baby monitor; Tommee Tippee steam steriliser, two strollers and one double buggy. A selection of books, toys and games are provided plus an XBOX 360. Kids will be easily occupied for hours on end, with an 8ft trampoline, sand pit, paddling pool, play tunnel, swings, slide, swing-ball, crazy golf and badminton. 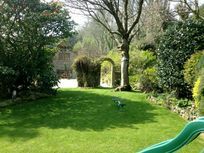 The cottage has a pretty and secluded cottage garden where mini guests can enjoy playing spot the birds, badgers and even rare red squirrels. There is also a pond (safety covered) with dragonflies and newts to spot too. Two cots and two highchairs are available plus a tandem buggy. Lovely quiet spot and everything provided for, so many toys etc to entertain children you only need to take your clothes and leave everything else at home. Would definitely recommend. Camellia Cottage is a perfect place to holiday with little ones in the Isle of Wight! We just wish we could have stayed for a few more days! 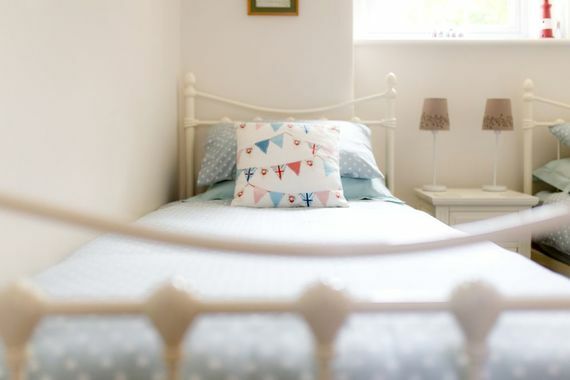 The house is fully equipped with everything you could possibly need - travel cots with comfy mattresses, room thermometers, high chairs, strollers, potties, a baby monitor and more. Our daughters couldn't believe how many toys there were - more than we have ourselves at home - ideal for a rainy or lazy day in! Plus they have a lovely garden with a trampoline, slide, swing etc. John and Louise are incredibly thoughtful and maintained the right balance in terms of being available if we needed them and also giving us space and privacy. The best part for us was the evening visits from the badgers - just amazing! We loved putting bread and jam out, waiting for them to come by! We will be coming back again in the near future! 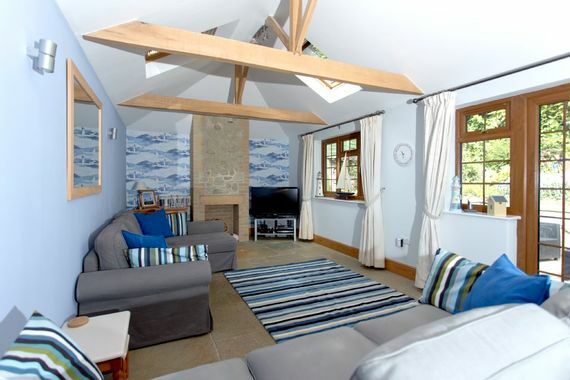 Lovely cottage in a great location for exploring the Isle of Wight. Very spacious with great garden. Our 2 1/2 year old loved all the toys provided and feeding the badgers. Helpful owners who made us feel very welcome. An amazing family holiday! 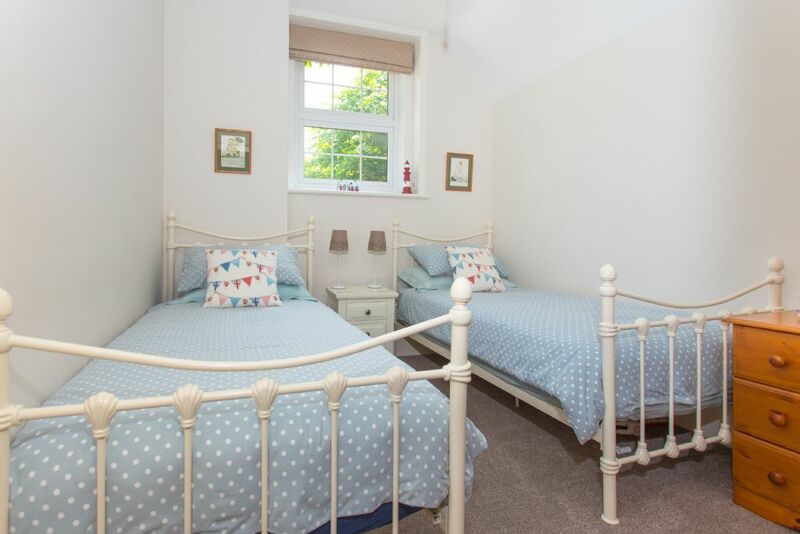 The accommodation is excellent, fully equipped and the gardens are perfect for the kids allowing parents to be reassured knowing the garden is secured. Can't wait to book the next visit! 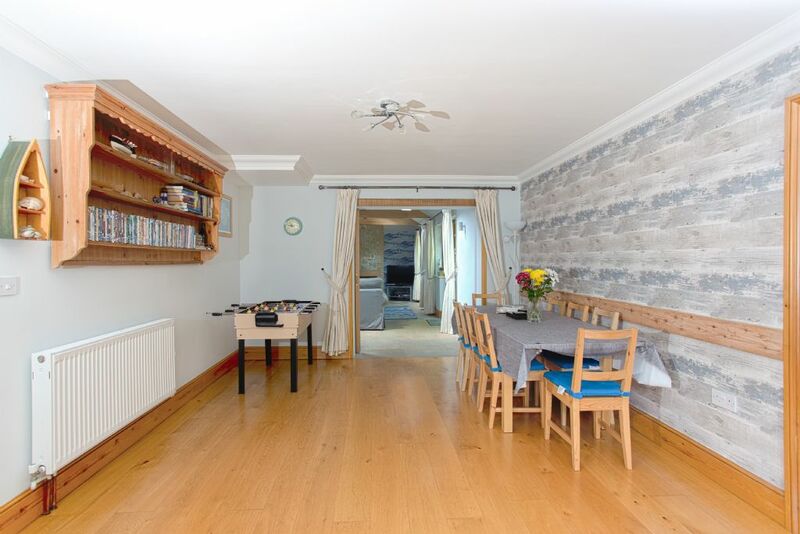 A beautifully decorated/furnished property, which is really well equipped and very cosy and comfortable. Lots to visit in the area. We had a lovely stay. 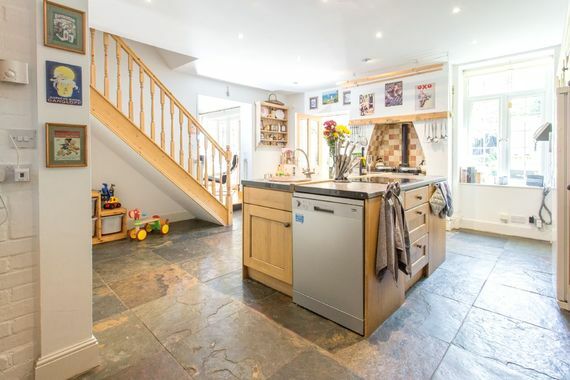 Great cottage, and very well equipped for children. Had more toys than we have at home! 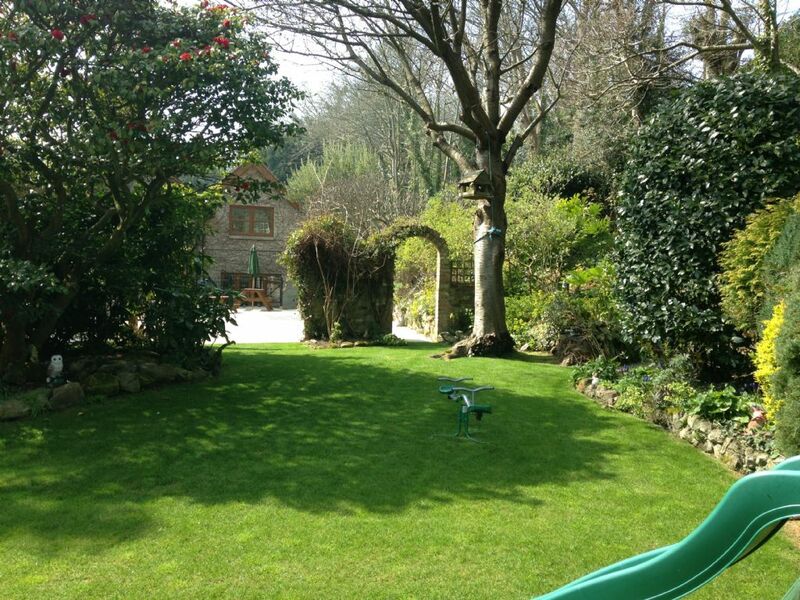 Good location and beautiful garden, again with lots of garden play equipment. We saw badgers every night in the garden and red squirrels during the day. Would really recommend a stay here, we will definitely be back. Everything you need is here, excellent cleanliness too.